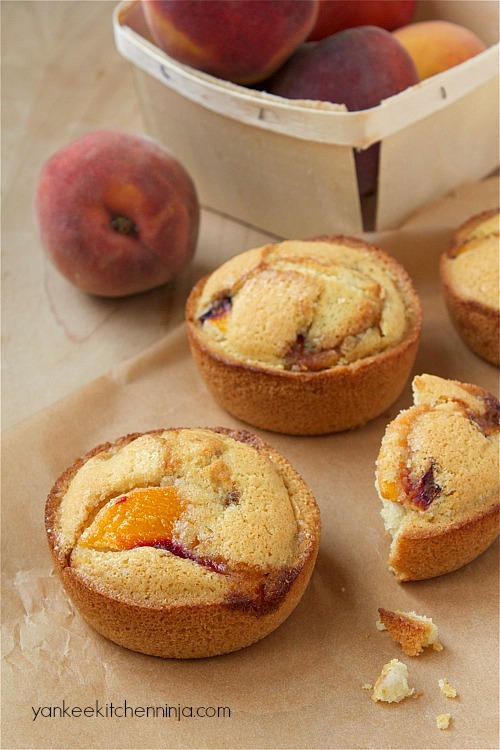 Lightened, gluten-free breakfast muffins with all the flavor of fresh peach cake in a handy grab-and-go size. 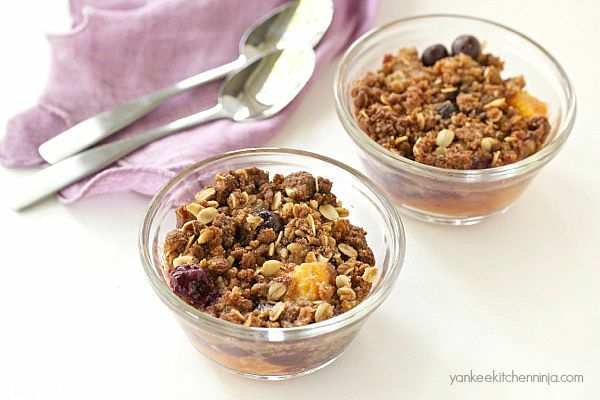 An easy crumble that features the best combination of summer fruits -- a perfect dessert or eat it for breakfast! 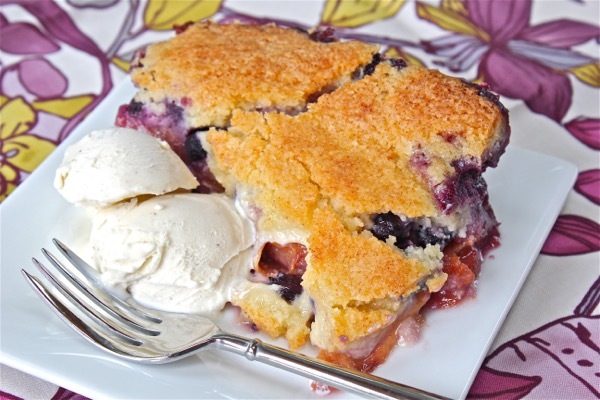 A more dessert-y riff on traditional cobblah crust -- sweet and cookie-like but not too crispy. 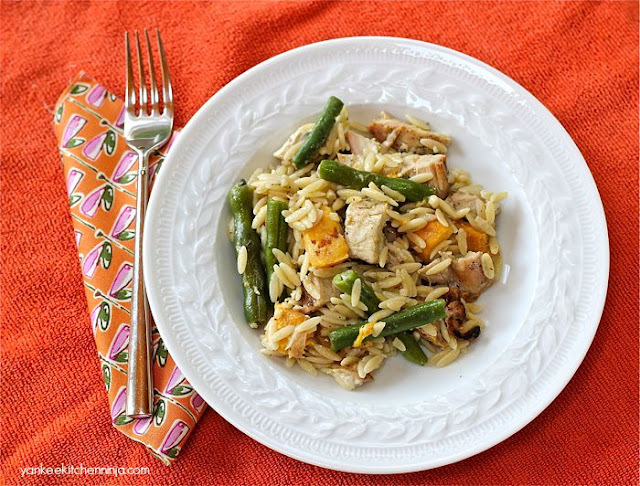 You wouldn't automatically think that combining orzo, green beans and tangy blue cheese with peaches would be delicious -- but you'd be so, so wrong. 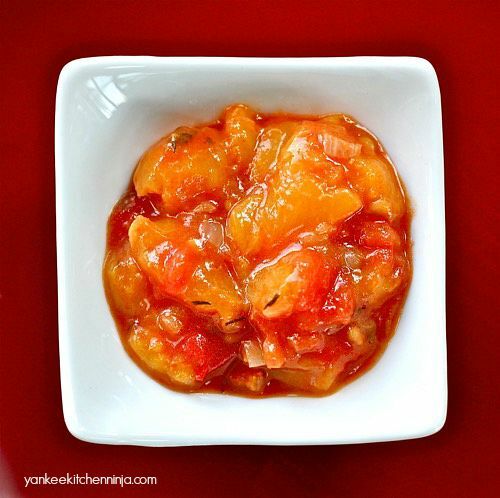 An unusual must-try recipe! A sweet and savory chutney that pairs really well with grilled pork or chicken -- or spread onto a thick slice of Summer Harvest Zucchini Bread! 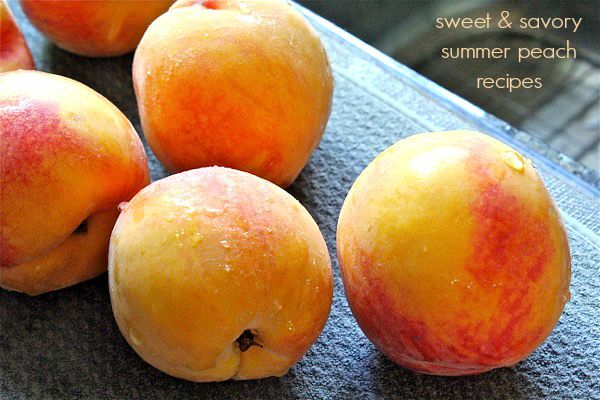 What's your favorite way to enjoy fresh summer peaches? Leave a comment: The Ninj wants to know.